How refreshing would it be to learn how to improve your relationships through laughter and illumination?So many “Relationship Shows” take this topic WAY too seriously. Where’s the fun? The entertainment? The enlightenment?Relationships are the most important aspect of our lives. 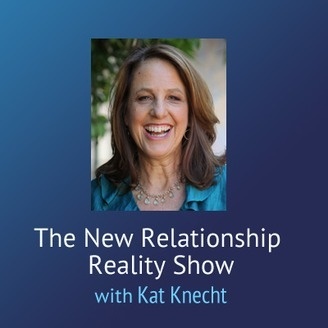 No kidding… right?But man… those shows can be boring!I promise you won’t be bored with the engaging interviews and insightful banter this show offers every week.Relationships ARE rocket science. They are complicated. We all need inspiration and new ways of engaging with those we love. This is true… especially now with all the new ways we have to stay connected and how easy it is to disconnect with a click. 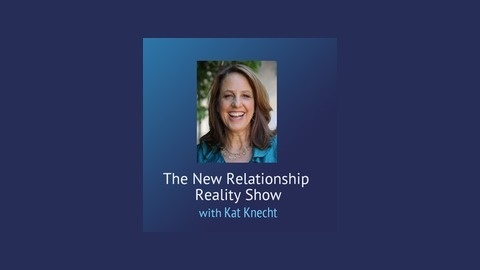 There is a new ‘normal’… not only in relationships but also in how we find them, create them and sustain them.Join us on “The New Relationship Reality Show” for tools, tips and strategies… and the new rules that can help you in relationships of all kinds. An Unpredictable Match Last week the show asked, “What makes a good match?” This week the focus shifts to, “What make a match that will go the distance?” We're talking about marriage. Kat’s guest, Debbie Taylor (http:// www.BlueAcorn.org), has some answers that will warm your heart, stimulate your brain and surprise you. Debbie is a minister, a healer and a woman of great wisdom. She and Kat have a great conversation… so listen up and have fun!! !